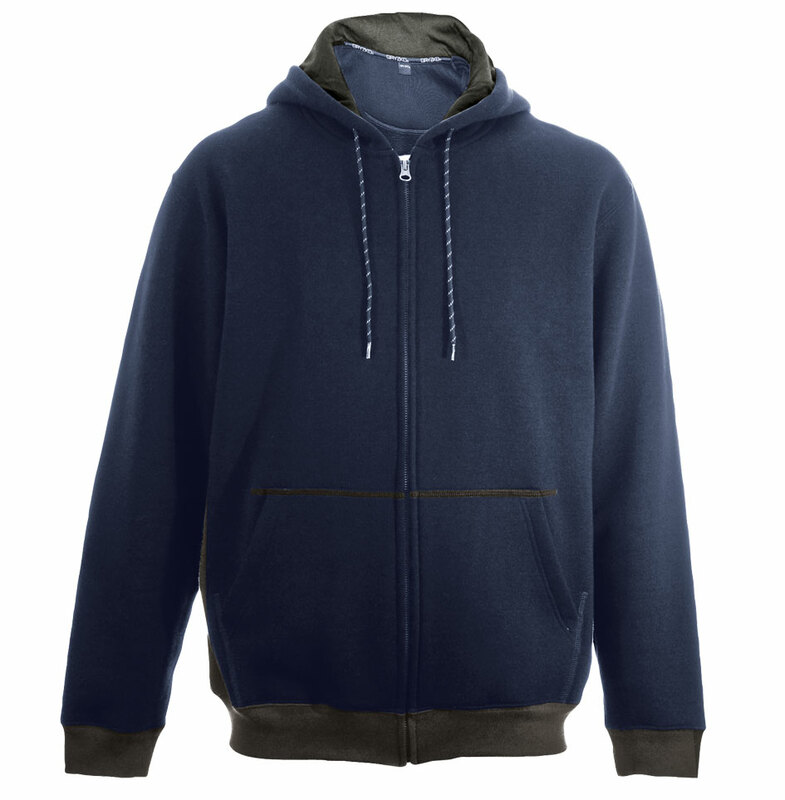 Hooded sweatshirt, made from heavy duty poly/cotton fabric for extra durability. Contrast lined hood, side panels, hem and cuffs in Charcoal. GRYZKO&REG; heavy duty full front zip, two side pockets. Brushed inner face, elasticated hem.